Without a doubt, Iran is one of the most fascinating, friendly and exotic countries that you will ever visit. In this guide, we’ll tell you everything you need to know about backpacking Iran and even share some secrets that you won’t find in your guide-book. Iran is officially an Islamic Republic, so women travelling here will have to cover up their hair with a head scarf (as well as the rest of their bodies), but don’t worry ladies, these days the head scarf laws are pretty relaxed and you’ll get away with it being almost around your neck. IMPORTANT: Since February 2014, the rules for Americans have been extended to include British and Canadian passport holders. This means that Canadians, British and Americans need to be accompanied by a guide while they are in Iran. Contact a tour operator to discuss an itinerary. How Much Will Iran Cost? 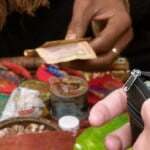 You will need to bring cash (US Dollars Only) with you into Iran to cover the full cost of your trip. ATM’s will not work for foreign debit or credit cards. 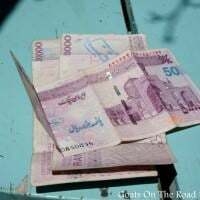 Backpacking Iran is incredibly inexpensive these days, with the street rate for the Iranian Rial being around 31,850 / $1 USD (Click Here for official / street exchange rate history). Iran is a country that offers great value for money, even more so these days. The official rate of exchange is 26,827, so rather than exchanging your US Dollars at an official bank, you’re much better off heading to a legal street stall and exchanging your money there (which is totally legitimate). 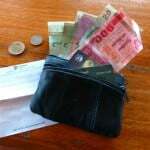 $71/day is a good budget for two people (around $40/day for a solo-traveller). This will afford a nice double room in a budget hotel, good local meals, the occasional taxi and tour, and taking first class buses everywhere (1st class is only a couple of dollars more than lower classes). The hotels and guest houses we stayed at cost between $20 – $40 and most included breakfast, while some even included a delicious dinner. All were beautiful budget hotels and many were built out of old homes that have been standing for centuries. You won’t find too many dorms in Iran, but we were at one hotel in Yazd that offered single rates for solo-travellers. While we did stay in nice double rooms, that’s the budget standard in Iran and you won’t find anything much cheaper. There are some cheap street meals to be had for backpackers in Iran and sometimes (especially during Ashura), you’ll find free meals all over the place! 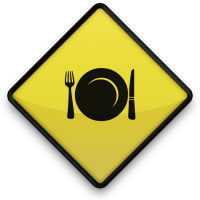 But eating a nice meal in your hotel restaurant or at a restaurant in town will likely cost between $5 – $10. Food in Iran is delicious and well worth every penny! Don’t miss the date milkshakes! The entrance fee to Persepolis (one of Iran’s premier historical sites) is around $10. Most people join a tour from Shiraz for around $20 – $25. Some mosques and mausoleums will charge around $3 – $5 for entrance, while parks and some museums are free. No reason to really put a budget for this here because alcohol is illegal for all Muslim Iranians, and you won’t likely see too much of it, let alone be able to buy it. If you’re really desperate for a drink, you can find wine in Shiraz. Expect to pay around $10 / plastic bottle, but keep it low-key and remember, it’s illegal! Tipping is not customary in Iran but services that cater to tourists will expect a gratuity. If you’ve hired a guide, a porter or a driver, expect to give a tip at the end. A few dollars should be fine. Some restaurants, particularly in larger hotels, will add a 10% service charge to the bill. In other places, away from tourist areas, servers will be pleasantly surprised by any change you leave. If you stay with a local family in Iran (which you most likely will), it’s a good idea to leave a small gift. Something from your home country would be ideal, or you can purchase a nice item from the bazaar to thank your hosts (pottery, a vase, artwork, etc.) Stickers, pens and notepads from your home country are great to give to kids when you leave. Basically, if you go into a bank to exchange your American Dollars into Rial, you will be paying a lot more than if you went into one of the many (legal) street stalls. The cheapest time to backpack Iran was surely July 2013, but it is still a very affordable place to travel. There are far too many “must-see places” to list here. We spent a lot of time in this country and we still have much to see. While we do love seeing sites, the true beauty of Iran is in its people (more about them below). The city of Mashhad offers little for backpackers, but the immense labyrinth of the shrine complex containing Imam Reza’s mausoleum, (read more about Imam Reza on Wiki here), makes a trip to the city well worth while. It is the largest mosque in the world by dimension and the second largest by capacity (next to Mecca in Saudi Arabia). Also contained within the complex are the Goharshad Mosque, a museum, a library, four seminaries, a cemetery, the Razavi University of Islamic Sciences, a dining hall for pilgrims, vast prayer halls, and other buildings. A visit here is an immensely powerful experience as many people sob and cry out to their lost hero, Imam Reza. Travellers are required to have a guide with them in order to enter this massive complex. We went two times, once by ourselves and once with a guide. It really just depends on how the people at the entrance gates are feeling on that particular day. Also, tourists are not meant to enter the shrine itself, but if you are respectful you may be invited in. Women must wear a chador (which will be provided to you at the entrance) and no cameras are allowed. Entrance is free. We recommend a late evening stroll, as the shrine is open 24/7. Seeing the many mosaics and intricate carvings on archways and walls, dimly lit by the late evening moon, is a definite highlight. While you’re backpacking Iran, you’ll probably want to experience the desert, and there is no better place to do so than in Garmeh. Stay at the Lonely Planet recommended Ateshooni Guest House (they definitely got this one right), and meet Maxiar, a true desert man. Explore this lush, palm shaded oasis with hikes up to lookouts, waterfalls and farmlands. Maxiar can organize trips to the nearby salt flats, sand dunes and villages, but the true appeal to Garmeh is at Ateshooni itself, where Maxiar will play numerous unique instruments and treat you like a VIP family member. The Lonely Planet makes getting here sound a bit confusing, but call Ateshooni and they’ll clear everything up for you. 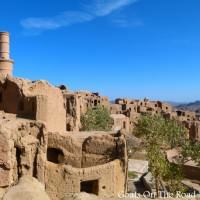 For our experience, Check out: Delightful Desert Days: We Love Iran! With a population of nearly a half a million people, Yazd is an average-sized city for Iran and it’s the center of the Zoroastrian religion. This labyrinth town of mud and brick is one of the most intriguing places in the country. Get lost in narrow alleyways, where the golden walls seem to close in on you, just before opening up into a beautiful park or mosque courtyard. Head to the roof for an unforgettable sunset, when the entire city becomes illuminated and the rooftop bagdirs (ancient Iranian air conditioning towers) glow and change colour with the falling sun. Make sure to do a day trip to the surrounding site of Chak-Chak, the abandoned mud village of Karnaq and the city of Meybod. This fantastic, lesser-known city actually has quite a bit to see. Check out the 1,200 meter long “end-to-end covered bazaar”, where you can sample spices and shop for pottery, hookah and textiles. Although Kerman is a nice city, the main draw for coming here is the Kalut Desert (Dasht-e Lut) which is about 100 km northeast of Kerman (2 hour drive). Stay with Mr. Akhavan at the Akhavan Hotel and he’ll set up everything for you. At just $36 / night, including breakfast and dinner, this place is definitely a good deal! Hire a taxi and guide (around $30) and head out to the towering sand formations of the Kalut Desert for sunset. Some of these wind-forged sand castles are 10 stories high and their jagged formations take on an alluring golden hue at sunset. You can also arrange to spend the night out in the desert. Goat Note: The political situation is always changing in eastern and southeastern Iran. Make sure to check that it is stable before planning a trip here. The fifth most populous city of Iran and the capital of the Fars Province, Shiraz is another one of Iran’s prime cities for backpackers to visit. This place has been an important trading stop for thousands of years and it is considered to be one of the oldest cities in ancient Persia. Here you can stay in what is arguably the most beautiful ancient hotel in the country (the Niyayesh Hotel) and enjoy all that this somewhat liberal city has to offer. Shiraz is known as the city of poets, literature, wine and flowers. There are some lovely parks, Unesco listed gardens and stunning mosques. Don’t miss the Ali Ibn Hamza Shrine with its interior of glistening mirrored walls and ceilings. Shiraz is also where Hafez (the famous Iranian poet) was buried, so definitely check out his tomb and have your future read through one of his lovely poetry books. These impressive ruins are located inside of a vast, city-like complex and were built over 2,500 years ago. They are found near the town of Marvadasht, but most people take day trips to visit them from Shiraz ($20-$25). This ancient city was once set on fire and looted by Alexander the Great, and further destroyed by subsequent Arab invaders, but despite its rocky past, Persepolis remains one of the most evocative sites in the country and a symbol of the Iranian nationality. Esfahan is the third largest city in Iran with many interesting sights to see. Take your pick between parks, squares, palaces, bridges, mausoleums, churches, cathedrals, tombs, mosques, museums and bazaars! Make sure to see the Khaju Bridge, the 17th century Shahi Bazaar, the Shah Mosque & Shah Square. Visiting the Armenian Quarter (New Julfa) is also recommended. There are some great restaurants, the lovely Vank Cathedral and interesting streets to get lost in. There are so many sites to see in Esfahan that you’ll never be bored! This city is a highlight of any trip to Iran. Located in the far northern reaches, near to the border with Azerbaijan, is the city of Tabriz. This city may seem too far away to bother visiting, but it should definitely be on your Iranian itinerary. The UNESCO Listed Bazaar of Tabriz is one of the oldest in the Middle East and is the largest covered bazaar in the world. This is a place that you can find anything and everything you might want, and you may get lost too! Make sure to see The Blue Mosque and the Poets’ Tomb as well. The streets in Tabriz are bustling and make the city interesting to walk around. Plus, it’s a very safe city. As a day-trip, we recommend visiting the troglodyte village of Kandovan. Located in the mountains just two hours from Tabriz, the views here are lovely and the cone-shaped homes are very interesting. Make sure to wear good walking shoes! With stunning rocky mountains as a backdrop, great skiing and cool markets, Tehran is definitely worth lingering in for a couple of days (despite what your guide book might say). The anti-American graffiti at the former US embassy and the incredible collection of gold and diamonds at the Treasury of National Jewels are definitely worth a visit! 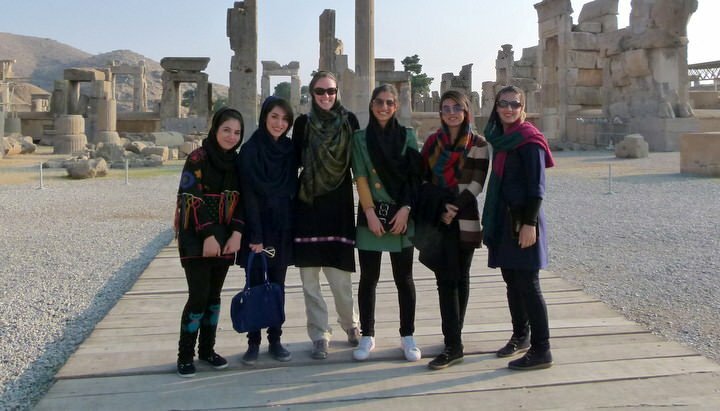 Without a doubt, the most enjoyable part of backpacking Iran is having the opportunity to stay with a local family or friends and learn about the Iranian culture. Luckily for travellers, Iranians are incredibly hospitable and you’ll probably be invited to stay multiple nights in many strangers’ homes. SAY YES! This is the best experience you can have in the country and it will give you invaluable insight into the real Iran. If you can time your visit for the mourning ceremonies of Ashura, you’ll have an amazing, first hand look at Iran’s close connection with their faith, history, and lost heroes. Aside from the open sobbing and Self-flagellation in the streets, Ashura is a time to remember those who have made sacrifices. Imam Hussein, the grandson of the prophet Muhammad, was (and still is) a true hero to the Shia Muslim people. Witnessing their sheer devotion and mournful cries is a remarkable experience. This is also a time for giving and during Ashura, people will often hand out free food and drinks – which can really help the budget! Note: Make sure to have your transportation and hotels booked during this time as it can be a busy time with locals moving around. You should take the opportunity to have a long and deep conversation with an Iranian. It’s amazing how open and genuine they are. When a local strikes up a conversation with you on a bus or in a cafe, be open to it and you may find yourself truly connecting with them on a very personal level. Goat Note: It is illegal for men to speak to unattended women in Iran, so don’t go striking up conversations with pretty Persian girls or you may get arrested. A great time to visit mosques and mausoleums is during the time of prayer. Even if you’re not a religious person, it can be a moving and calming experience to listen to the meditative chants of the muezzin, and the repetitive replies of the hundreds of people inside of the mosque. Outside of prayer time, the interior of all mosques and mausoleums in Iran are absolutely mind-blowing and definitely worth a visit. The Iranian water pipe is a popular social activity, especially amongst males (but increasingly amongst young females in more modern cities). The substance of choice is flavoured tobacco and it can be quite delicious. Of course it’s not the healthiest past time but everything is okay in moderation! When in Iran right? Goat Note: In some countries, tobacco water pipes are called Sheesha… not in Iran. Sheesha means crystal meth in Persian, so be sure not to use this term when ordering Qalyan! Food is a huge part of travelling to any country and backpacking Iran is no different. 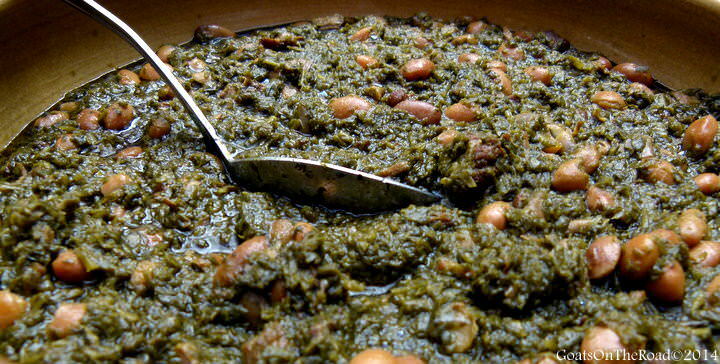 Although Iranian cuisine isn’t world-famous, after travelling here you’ll wonder why. The spicy stews, fruity sauces and sweet beverages in Iran are absolutely delicious. Note: Islam is the dominant religion in Iran, so you won’t find pork in many, if any of the meals. This thick, tart stew is made from pomegranate syrup and ground walnuts. It is traditionally made with poultry (duck or chicken); but there are also variants using balls of ground meat, ghormeh, cut lamb or fish. Finding Fesenjān without meat is not unusual either. This is often referred to as Iran’s national dish. A delicious stew that literally translates to “stew of greens and herbs”, the main ingredients are a mixture of sautéed herbs (parsley, leeks or green onions, & coriander), seasoned with the key spice of “shambalileh” (dried fenugreek) leaves. In Garmeh you can have Gormeh Sabzi with camel meat! This seems to be more of a tourist delicacy than an actual Iranian beverage, but there’s no doubt that these frosty, thick mugs of goodness are a hot seller in Iran. Don’t leave without trying a Date Milkshake! You’ll wonder why they don’t have them at every fast food chain and milkshake shop around the world. Literally meaning “water meat”, this tasty dish may not sound appetizing in its English translation, but it is one of the most delicious meals in Iran, and certainly the most fun to eat. It traditionally comes out in a clay or metal pot with a lid. The savory stew is always served with bread and a pestle on the side, and you are meant to tear up the bread into tiny chunks, put it into the stew and then mush everything together using the provided pestle. This Persian / Mesopotamian stew is often referred to as “a peasants dish” but it is actually a hearty mutton soup thickened with chickpeas. Usually made with lamb, chickpeas, white beans, onion, potatoes, tomatoes, turmeric and black lime, it is a cheap and filling dish that backpackers can’t get enough of! Anything you sample in Iran will be delicious. Make sure to sample the street snacks as well! Let’s be honest, not many people visit Iran and by coming here, you’re already “off-the-beaten-path”. Some main places to note that are further away from the “crowds” are Garmeh, Kerman, Tabriz and Qeshm Island. You’re planning a trip to an amazing place and there are many pros to backpacking Iran. Travel is very personal and different for everybody, so you’ll probably find many more pros when you’re in Iran. We’ve only listed a few. We’ve said it before and we’ll say it again. Iran has the friendliest people in the world. Despite your friends’ and families’ reaction when you told them you were going to Iran, you’ll probably never feel safer on your travels. The Iranians will treat you like a delicate piece of jewelry when you pass through their country, doing everything in their power to ensure you leave safely, and with a better outlook on the country, its motives and its people. This is ancient Persia. The historical sites, cities, shrines, mosques and mausoleums here are some of the most exquisite creations you’ll ever see. 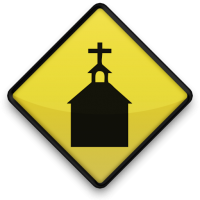 Before coming here, you may think that everyone in the country is very conservative and of the strict Muslim faith. This simply just isn’t true. You’ll meet friendly Bahai, Zoroastrians, Christians, Jews, Muslims, Agnostics, Atheists and so much more. Iran will blow you away. No matter how much you think you know about this place, you will learn so much more when you travel here. When you enter into a family’s home, you’ll probably see men drinking wine and women wearing tank-tops and short skirts. This may throw you for a loop, but it’s what makes Iran so special. There are two worlds here, outside and indoors, and to experience both will help you to shape a new mental picture of Iran and its people. 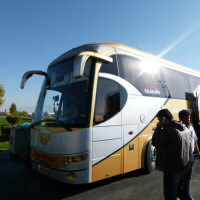 Given the current exchange rate, even budget backpackers in Iran will be able to afford to take luxurious 1st class buses and the occasional flight. Transportation here is easy to organize, comfortable and outrageously cheap. Look at all that leg room! There are a few cons to backpacking Iran, but in all honesty, it’s hard to think of more than just a few, so we’re really reaching here. Women will be especially affected by this law and it can be very annoying. You must cover your arms, legs, bum and hair at all times (no matter how hot it is) and this will really limit your wardrobe, and possibly your sense of freedom. Just know that many of the women around you don’t want to dress like this either. **Note: Although the younger generation of Iranian women are pushing the boundaries of the law by having headscarves barely hanging off the back of their heads, be aware of the Morality Police in Iran who drive (and walk) around, looking for people disobeying the law. You must have your head covered and wear appropriate clothing at all times when in public. Typical outfits for younger Iranian women, look how far back on the heads those scarves are! As long as your shirt/jacket is covering your bum, you’re ok. Many of the outfits in Iran are actually quite stylish. Well, there is alcohol, if you know where to look, but you won’t be going to bars and getting hammered with other backpackers in Iran. 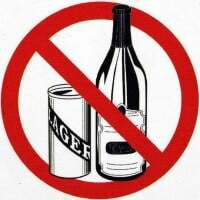 If caught drinking alcohol, you could be looking at some jail time, or a fine. At the same time, it’s very interesting to see how young Iranians entertain themselves into the wee hours of the night, without a drop of alcohol. If you’re a couple, you’ll have to keep your smooching and hand holding for when you’re indoors. These are basic cons of travelling in a highly conservative country. Iran is home to the hottest temperature ever recorded on earth (nearly 71°C!). This means that summer in the southern deserts and Persian Gulf can be unbearably hot. You’ll need a VPN (virtual private network) in order to visit websites such as Facebook, Twitter, Google, YouTube, BBC, etc. Somehow our website was able to be connected to in Iran without using a VPN, but most aren’t. If you’re heading to Iran, you’re going for the same reason that most people are going, to find somewhere unique and off the beaten path. Other travellers in Iran can be a major highlight of your trip, with so many different backpackers on so many different adventures, you’re sure to hear many amazing stories at every hotel and restaurant dinner table. We found the other travellers here to be mature, adventurous, culture-minded and inspiring! As we’ve said time and time again on this blog and in this Guide, you really can’t beat the friendliness of the Iranian people. The Iranian people comprise the present day Persians, Ossetians, Kurds, Pashtuns, Tajiks, Balochs, Zaza People, Lurs, and their sub-groups of the historic Medes, Massagetaes, Sarmatians, Scythians, Parthians, Alans, Bactrians, Soghdians and other people of Central Asia, the Caucasus and the Iranian plateau. Around 90% of Iranians associate themselves with the Shi’a branch of Islam, the official state religion, and about 9% with the Sunni and Sufi branches of Islam. The remaining 0.9% associate themselves with non-Islamic religious minorities, including Bahá’ís, Mandeans, Yarsanis, Zoroastrians, Jews, and Christians. Sadly, it is illegal for the approximate half million Bahá’ís to publicly practice Bahá’ísm in Iran. About 75% of the country speaks Persian (Farsi), Gilaki, Mazandarani and Luri, while 11% speak Azerbaijani and other Turkik Dialects. 10% speak Kurdish and 2% consider Balochi their mother tongue. The remaining 2% of people speak other languages including Turkmen, Georgian, Armenian, Hebrew, Assyrian, Brahui etc. You’ll feel like a real luxury traveller when you’re backpacking in Iran. There are some beautiful and enormous buses with wide lounge chairs that lean back all the way, and service that you’d expect to find in a Michelin starred restaurant. You can take trains and taxis that are more affordable than local buses in many other countries, and there are often cheap internal flights as well. Many people enter Iran by land from Turkmenistan or Turkey as part as a bigger journey through Central Asia. Iran shares borders with Iraq, Turkey, Azerbaijan, Turkmenistan, Afghanistan and Pakistan. Its northern reaches stretch to the shores of the Caspian Sea while Iran’s southern coast is set along the sun-soaked Persian Gulf. Turkmenistan: The Saraghs – Sarakhs border is the most popular border entering Iran from Turkmenistan. Opening hours of the border are 8am to 5pm (some say 9 to 6). But be aware, immigration on the Turkmen side closes for lunch from 12 – 1. Also, note that this is one of the slowest border crossings we’ve ever encountered! From Ashgabat (Turkmenistan), you will need to take a taxi to a passport check station, then an overpriced minibus to the border. Turkey: A popular border crossing is at the town of Dogubayazit. From Ankara it’s a 19 hour bus ride (55TL). There are also trains going into Iran from Ankara, but make sure you have all of your paperwork ready so that you aren’t left behind at the border. The train from Istanbul to Tehran via Ankara and Tabriz is called the Trans-Asia Express. It runs weekly in either direction departing Istanbul at 10.55pm Wednesday (about €40). It takes about 70 hours and seating is in comfortable 1st-class couchettes with four berths. Iraq: The best way to enter Iran from Iraq is at the Haj Omoran to Piranshahr border crossing. Of course you can’t get a visa at the border but you can apply for it in Irbil. There are minibuses and taxis to take you to and from the border. Azerbaijan: The Azeri border has two recognised crossings: between Astara (Azerbaijan) and Astara (Iran), and Culfa (Azerbaijan) and Jolfa (Iran). Visas are not issued here, but there are some mini-buses and taxis to take you to and from the border on either side. Armenia: The border between Iran and Armenia is only 35km long, with one crossing point in Iran at Norduz. Afghanistan: The border at Dogharon, 20km east of Taybad, is open and straightforward. Daily buses between Herat and Mashhad make the trip even simpler still. There are two international airports in Tehran, the older and less used Mehrabad International Airport (THR) and the newer and updated Khomeini International Airport (IKA) (named after Iran’s religious leader). All international flights to Tehran will arrive at the latter. Iran also has international airports in Shiraz, Esfahan, Bandar Abbas and Kish, with Shiraz being the easiest starting point for travellers. Iran is huge, so when entering by air, make sure to plan a good route so you don’t backtrack or run out of time. Iran Air is the national airline and has a pretty good reputation. It’s interesting, on some international airlines, when you fly outside of Iran’s airspace, you’ll be served alcohol after it is announced on the P.A! IMPORTANT: As of February 2014, citizens of the UK, US and Canada will need to be accompanied by a guide and have a specified itinerary to visit Iran. **Note: Entrance to Israeli passport holders will be refused. As will entrance to those with evidence of travel to Israel. Obtain a new passport before your trip to Iran if you need to! UPDATE 2017: Good news! 180 different countries can now get an Iran visa on arrival. Still, if you’re from USA, Britain, Canada, Colombia, Bangladesh, Jordan, India, Afghanistan, Pakistan or Somalia there’s no visa on arrival for you. For more, check out this post. There’s no doubt that visas are going to be an issue when you’re planning your trip to Iran. Everyone except for nationals of Turkey, Malaysia, Syria, Georgia, Azerbaijan (15 days), Venezuela, Nicaragua, Bolivia and Ecuador will have to obtain a visa at an Iranian consulate abroad, before entering Iran. To apply for your Iranian visa, you will first need to obtain a reference number (similar to a Letter Of Invitation) before you apply at the consulate. To obtain your reference number, contact Stan Tours and fill out their application, which will require you to state which consulate you will pick up your Iran visa. After a few days of processing, Stan Tours will send a reference number to you, which you will need to present to the consulate when you apply. We highly recommend you contact Stan Tours for all of your reference numbers, Letters of Invitation and visa needs in Iran and Central Asia. 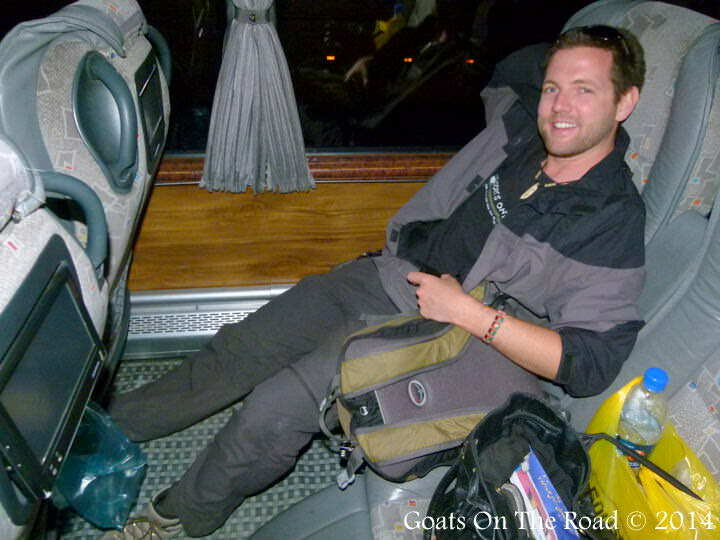 Goat Note: We don’t get paid to promote Stan Tours. We just know that they’re the best. The best places to obtain your Iranian visa are at consulates in Trabzon (Turkey), Almaty (Kazakhstan) or Batumi (Georgia), since you do not need a Letter Of Invitation. Another good place to pick up the Iran Visa is in Dushanbe (Tajikistan), as the turn around time can be as short as 48 hours! Bishkek is a cheap place to get the Letter Of Invitation. Some of the above information was found on Caravanistan and Wikipedia. Caravanistan also offers similar visa support to Stan Tours. Food, medical and health standards are all quite high in Iran so you shouldn’t have many issues with sickness or disease. There is some risk of malaria in south-eastern Iran, but travellers should be cautious when taking dangerous anti-malarial medications in a country with such a low risk. The most common form of sickness that travellers face is food poisoning (although this is quite rare). There is no risk of yellow fever in Iran, but animals can carry rabies, so like anywhere in the world, keep your distance from stray animals and unkempt pets. The Iranian government does censor many social and overseas news sites like BBC, Twitter, Facebook etc. They also throttle back the speeds to ensure that nobody is downloading illicit materials, but generally you’ll still be able to find decent speeds at cafes, restaurants and at your hotel. Wi-fi is becoming increasingly popular and you’ll likely have it at almost every hotel you stay in. Download speeds average at about 1mbps, but you’ll likely get around 500kbps. As for mobile service, Iran’s telecommunications are run entirely by one state-run company: TCI. Travellers can obtain both static sim cards and pre-paid sim cards. You can recharge Your sim card through Internet, by using major Iranian debit cards, or simply buy a recharge card from any super store, book store or mobile service provider shops which are available all around Iran. Sim cards have SMS, MMS and GPRS. TCI still doesn’t support 3G but this is on its way. You may be able to use your original sim card from home, but you will pay roaming charges. Argo: This 2012 film was directed by Ben Afflek and while it was criticized for poorly portraying the Iranian people, although parts of it are fictitious it is actually quite entertaining and informative. A Separation: This compelling drama is about a married couple who are faced with a difficult decision to either improve the life of their child by moving to another country, or to stay in Iran and look after a deteriorating parent who has Alzheimer’s disease. Prisoner of Tehran: The true story of a 16-year-old girl living in Tehran during the Iranian Revolution. What she went through in her life during this time is unimaginable. This is one book you won’t want to put down. Thanks to Iran’s size, topography and altitude, you’ll actually find a huge variety of weather patterns here. Before you decide when to go, you should probably figure out where you’d like to go in the country as regional temperatures can vary wildly (when it’s -5°C in Tabriz it might be 35°C in Bandar Abbas). Heat can be a restrictive force when backpacking in Iran so be careful if you’re in the south during summer, when temperatures frequently break into the 40’s (C). Goat Note: Weather throughout the world is changing. You can’t even try to predict seasons anymore, but you can assume that central and northern Iran is mostly freezing after November and the south is scorching in the summer. Iran is definitely one of our favourite countries to date! Iran’s remarkably friendly people, the ease of travel, interesting sites, amazing topography and deep history all combine to make this one of the most captivating travel destinations on Earth. Forget what your family and friends say about Iran and its people. Unless they’ve been there, they have no idea. Pack your bags and get ready for a cultural experience that will likely remind you of exactly why you love travel. That’s awesome Christine! I’m glad you were considering going to Iran 🙂 Hopefully you’ll get there one day soon…especially with having the Irish passport! Thanks for following our journey when we were travelling there! Oh great, now I want to go to Iran. Tomorrow! I’m curious, the men not being able to speak to unattended women thing, does that apply men talking to foreign women? Could an Iranian man talk to me if I’m unattended? This is a misconception and men and women talk with eachother within the country. What is frowned upon is flirting in public, Otherwise there is no rule or law saying men shouldnt talk to women. Thank you Neda. We met foreign males who were actually taken to jail for a few hours to discuss them talking with women in a park. Our Iranian friends also said that this is frowned upon, unless, of course, they are your relatives or spouse. Men aren’t supposed to be with or talk to unrelated women. But it’s not just a law thing, it’s social thing as well. It would be seen as not very nice for a random man to talk to a woman. Like imposing in her personal space. Like I wouldn’t ask a woman for the time in the street, I’d always ask a man. However there are caveats. Like a woman asking an old man directions if she’s lost would be normal, and an Iranian man asking a foreign woman where she’s from would be normal. It would also be ok, for example, for a shop keeper to strike up a conversation with a foreign woman. And for unrelated Iranian men and women to communicate in workplace settings, i.e. a woman asking the price of an item to a male shopkeeper or asking a male butcher for something specific. Thanks for the valuable insight Hanif! Where in Iran are you living? We totally agree with everything you said, and since we were travelling as a couple, I (Dariece) wouldn’t go up to a local man and start speaking with him, Nick would have done that. We never felt like any of this was strange, as it’s similar if not the same, in the rest of the Middle East. We did hear of foreign men being arrested by the moral police a couple of times for talking to local women! Wow, this goes into depth! I have always been fascinated with Iran, and am constantly mentioning to my boyfriend how I think we should go. He won’t even consider it, so I just may need to find a tour and go myself! Hi Katie! Thanks for your comment. That’s too bad that your boyfriend won’t even consider travelling to Iran. It’s such an amazing country to travel to….not to mention, safe. I recently met a well-travelled young man who said that his ultimate favourite country was Iran. He had a tour through the country, but despite that he loved it. Since he shared his stories, I am even more eager to make my own way there since the history and food are already a draw! Hi Emily 🙂 We too have met many well travelled people who have listed Iran as their favourite country to travel through. Tour or not, if you have the opportunity to go, take it! The people, sights, food, history and bazaars are all so incredible. Isn’t it such an amazing country to travel through?! Did you have a favourite place there? I t is my pleasure to send any information about travel to Iran. I am living in Mashhad and Shiraz. If I can be of any further assistance or provide you with any further information, please do not hesitate to contact me. Thank you for your kind offer Javad 🙂 We really enjoyed our stay in Mashhad and Shiraz! Thank you for correcting us – that’s what we thought was the case actually. 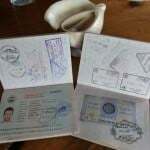 In fact, when we travelled to Iran, we had evidence of Jordan and Egypt in our passports and it was fine, but we recently read an article that said otherwise, so we thought that since we hadn’t been to Iran in a year, that it must have been the current information! by the way i suggest to edit one part of the article ( Some Handy Persian Phrases To Know ) it seems you have read these Phrases in a not so good travel book! as people in streets do not speak like those actually! Hello/Hi: Dorud (دُرود) / ruzegâr nik (روزگار نیک)>>> most of the people just say ( salam , سلام ) for hello or hi ,it is ok if you say dorud too but as i am living in iran for 31 years! nobody says(( ruzegâr nik )) ! Fine, thank you. xubam, sepâs (خوبم، سپآس) >>>> this one is ok! My name is ~ .nâmam ~ ast (نامم ~ است) this one is ok! Nice to meet you. xošbaxtam (خوشبختم) this one is ok! No. na (نَه) >>>> this one is ok! Wow! Thank you so much for adding all of this correct language 🙂 I guess Wikipedia lied to us! Thank you guys. It will help us a lot when come there. Very helpful blog! Thanks for sharing! Wow, that’s a great exchange rate. Malaysians can only stay for 15 days?! That’s too bad, you’ll have to go back numerous times. I will be back in Iran for vacation from 15th Feb. It would be wonderful if i could show some travellers around. Feel free to contact me via email if you have any questions. I live in Esfahan by the way. wauw! I just feel in love with Iran during this guide! Me and a friend of mine are are going to travel somewhere in July/August and we are very interested in Iran. However, I am a bit concerned about the weather during these particularly months. We would like to visit Teheran, Esfahan, Shiraz, Yazd and maybe do some trekking near Teheran. I know the guide says, that the weather can be very unpredictable, but is it at all possible to stay in Shiraz, Yazd and Esfahran in the July-August? Iran can be incredibly hot in the summer – it’s a desert after all 🙂 Shiraz for example has average temps of 39 degrees celcius in July! Keep in mind that your body and head will be fully covered as well – definitely will be hot. You’ll want to head to the mountains during that time. Tabriz average in July is 30, Tehran is 37. It’s definitely doable, but you’ll be quite warm. Regardless, Iran is stunning – if you have the chance, go! While backpacking “off the beaten track” in Thailand for the moment (as far as this is possible in Thailand;-)) I talked about Iran today with an older Australian gentleman who just got back from Iran and found it one of the most enchanting places he’s ever been to (and oh boy has he traveled the world;-)) ! So I made up my mind: this year I can’t practically and financially make another trip, but next year I will definitely go backpacking in Iran!! I don’t care if my family and friends will think I’m crazy to do this on my own (single female), I just know I’ll be all right and looked after there. 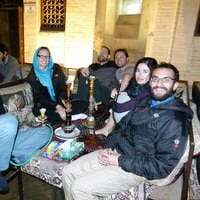 As of February, 2014, Canadians and the Brits have to enter Iran on a tour, along with the Americans. Run, go to Iran while Aussies still independently can! As an Iranian I’m amazed by this fascinating post, I’m living in Shiraz and working in Tehran, I’d like to add few notes to travel better, if you’re traveling to Iran try to buy a calender at a local store in bus terminals or newspaper stands, try to limit your purchases from Airports as everything is 40% more expensive there. Calender helps you much for planning your travel. If you find 2,3 holidays in row (red dates) try to reserve a ticket one week earlier, traveling with train is an exotic experience but you have to act fast to find an spot, for example you won’t find any bus from 31th may to 10th to 10th june. You can buy tickets online and reserve your own seat, if you’re a solo male or female notice to not reserve a seat next to opposite gender. If you couldn’t find a ticket on these websites you can always find one at http://www.payaneh.ir (make an account first) you need to have prepaid credit card to buy tickets online for more information on this read here (http://www.iraninternationalmagazine.com/issue_30/text/no%20need.htm) and (http://www.aitotours.com/aboutiran/7/currency-and-banking/default.aspx) remember to ask for second password to be able to buy online. Iran mobile phone service providers are Mtn Irancell, Rightel, and hamrahaval, i recommend Mtn Irancell prepaid sim card for better internet service and easier to obtain. iranians are so friendly and eager to help, a little kindness or an small gift goes a long way. 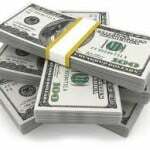 Its impolite to gift money. Southern iran (regions below Isfahan) are kindlier and more easy going. mourning events are sacred and try be respectful. Iran has exotic nature besides historical sites and places. But you have to find a professional guide to visit them. I’ll try to collect some documentary videos about iran and broadcast them. Well i hope you find these tips useful, i’ll be glad be any of help, you can contact me by email Aslan.baharloo @yahoo.com. Wow, thank you very much for providing all of these tips and advice for readers. Iran is a great country to travel to! Wow, thanks Nick & Dariece for this helpful post. I didn’t know you also made your way to Iran and particularly like the must try dishes section. 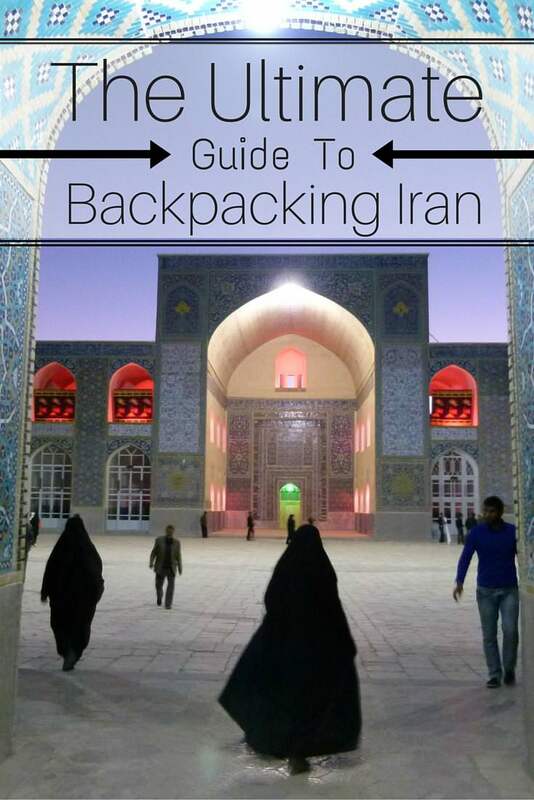 I also recently publish a big Guide to Backpacking Iran myself including everything one needs to know before going there. I’ve been to Iran twice already and can only recommend travelling there. Take care and keep up the good work! Once again, awesome post! thank you for this great atricle im so happy that finally someone said a good thing about our people and by the way tci has 3G and LTE now and its very good and fast. and at spring in tehran the weather is ok and at winter in tehran the weather is very cold but at summer its very hot. 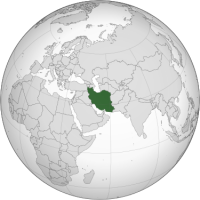 Iran is one of the prosperous nation of Middle east. There are various good places for backpacking in Iran but there are also some restriction regarding Women and alcohol. You have done good research on Iran. You have mentioned almost everything. Thanks for providing relevant information. 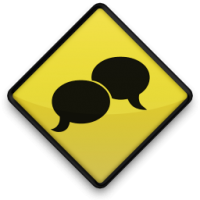 I just want to say thank you for sharing your experience and for your interesting website. I,m 30 years old and my generation work so hard to build this country a very much better place for both Iranians and Foreigners. So in a few years you can travel to Iran much more easier. Thank you for the kind words Shirana 🙂 We really enjoyed our time in Iran. hi, I live in Iran and I’m a tourism management student. I’m so willing to help those who want to travel to Iran. If you have a question, do not hesitate to send me an email. I’ll answer as soon as possible. I would like to find someone who would like to drive my son and myself around Iran going to places we want to go and maybe staying two nights in places. coming from an Iranian I found your post to be one of the most informative I’ve ever found online. You have almost covered everything. My name is mojtaba and I am from the historic city of Qazvin. It’s been very informative and, at times, entertaining to read your blog especially as we are heading to Iran next week and will travel around there for three and a half weeks. We plan to visit some of the places you were at and to try out some couchsurfing. So far we have hosted many times as couchsurfers but have yet to be guests! I contacted that hotel you stayed at in Tehran (Gollestan) and it’s interesting to note that since you were there (in 2014?) the price of a double room has gone up quite a lot (from $35 to $53). Let’s hope elsewhere prices have not changed too much. All the best during your travels and keep up the good work! Thanks for reading 🙂 Iran is an incredible country so I hope you enjoy your trip there. That is interesting to hear about the prices of the rooms at that hotel, the Iranian currency is very unstable and price are always fluctuating there. I hope you can find some affordable places 🙂 Enjoy! Hi . I read your writting about iran and im so happy that you had fun here . I wish you visit here again and i could meet this amazing couple in tehran . If you are seeking for a cheap and clean place in Esfahan, try for Nik Guest House. It is 10 Euro for one bed and 20 Euro for a private room, breakfast is free. We would like to introduce our hotel in IRAN , that name is ARGE GOOGAD a ancient castle near ISFAHAN city that is belong to 400 years ago and now is 3star hotel . This ancient castle after ARGE BAM is the secend ancient castle in IRAN. 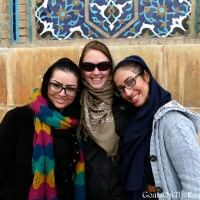 It was great to find such an informative article on travel to Iran, and your blog is very inspiring in general! on this issue? Is there any way for me to travel to Iran without it being complicated and expensive? Iran is such an interesting country, if you have the opportunity to go, then take it! As of March, 2014, Canadian and UK citizens must all be with a guide, so you’re not the only one 🙂 Unfortunately, I don’t know how much guides cost. Great! I’m glad to hear it 🙂 Happy travels. great post bro i hope some day i be able to visit the world too, i think after nuclear agreements our standing with us government gets better. Hey, this is great. Do you have the route that you took and how long it took you? We have around 16 days and need to start and finish in Tehran during September. Another question: have you had much trouble getting into other countries having a stamped Iranian visa in your passport? Thank you. Thanks for ur awsome post and showing the truth about us. I really appreciate your time and effort in portraying real iran to travellers. Hi When did you go to Iran? Was it before the extended Visa restrictions of Feb 2014? I want to go but wanted to back pack freely without a tour guide (I’m British) can I just ask someone from Couchsurfer to be my guide or does it have to be an official guide? like Denj Hostel in Tehran price range 20-40 USD per night per room. I was in Iran and your informative website helped me a lot. people in Iran are very friendly and unlike the negative publicity against Iran, it’s absolutely a safe country. there are many fascinating places to see. you can find very cheap accommodation in Iran, especially Tehran where we stayed at Persian Hostel. it was very clean and our hosts were very friendly and obliging (especially Adel). the price was great too. Thank you Amir. I’m glad you enjoyed Iran! Backpacking Iran! Not a bad Idea. I am super interested about it after reading your article. Glad to hear it 🙂 Iran is great. Thank you so much for this article!! It’s the best that I’ve read online in terms of recapping the country, travel, visas, etc. My friend and I are American citizens and hoping to go for 5 days in November (unfortunately, we don’t have the vacation days to stay longer!) I know we have to be accompanied, do you know of any good contacts for a private tour? Also, any must-dos in the 5 short days we’re there? Thanks so much!! Your pictures / travel looked amazing. Really loving the new design of the site! Just thought I’d let you know the weather widgets are just showing as HTML here. Hope you’re enjoying Colombia 🙂 Easily one of our favourite countries along with Iran. During my trip to Iran, I also went to visit the Qashqai nomads who live in the Zagros mountains, and it was one the highlights of my trip. Some of these people are still living like their ancestors, and definitely, it was a real off the beaten track thing to do! Maybe you want to include it in your Off the Beaten Path section 😉 Great article as always! Cheers! While it is true that you have to bring cash to last you for the whole duration of your trip, it is not true that USD is the only acceptable currency. I went to Iran in September-October 2016, and since I am based in Germany, I brought EUR with me. Money changers were more than happy to take my EUR and exchange it for IRR. Hi. Just wanted to thank you for your great article about my country. PLEASE help us inform people all around the world (especially in U.S) about the REAL Iran. Thank you again for your kind article! i would be more than happy to help you ! Hello, I plan to travel to northwest Iran only (Zanjan, Tabriz, Jolfa, Ardabil) in early March 2018, going straight from Tehran to Zanjan as the first stop. Can I know do you book your bus tickets online or is it easier to buy at the bus station? forgot to say that it’s actually great time to travel to Iran now because it won’t cost you much, you can have a luxurious travel to Iran now with a little money! but it’s reverse for people in Iran, now it costs them a fortune to travel abroad.